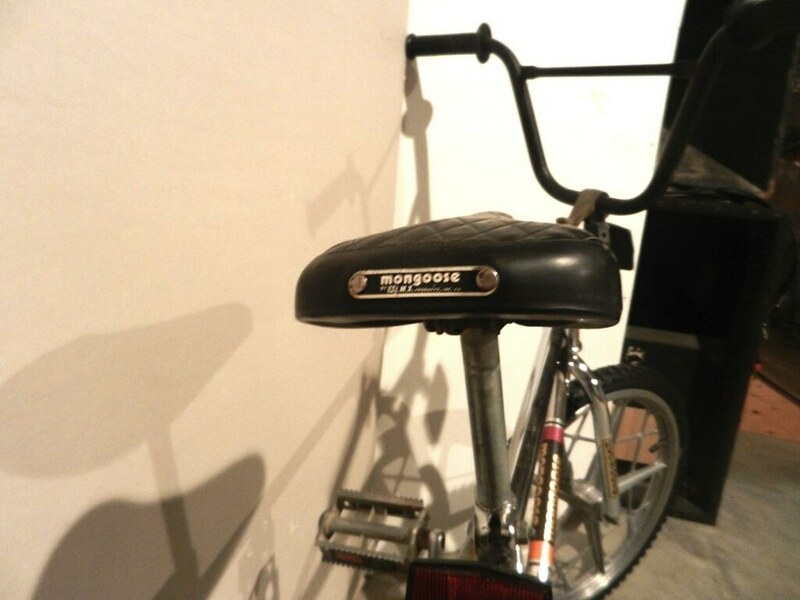 Random Collectible Bicycle of the Week: 2-17-13 - Yo! Venice! 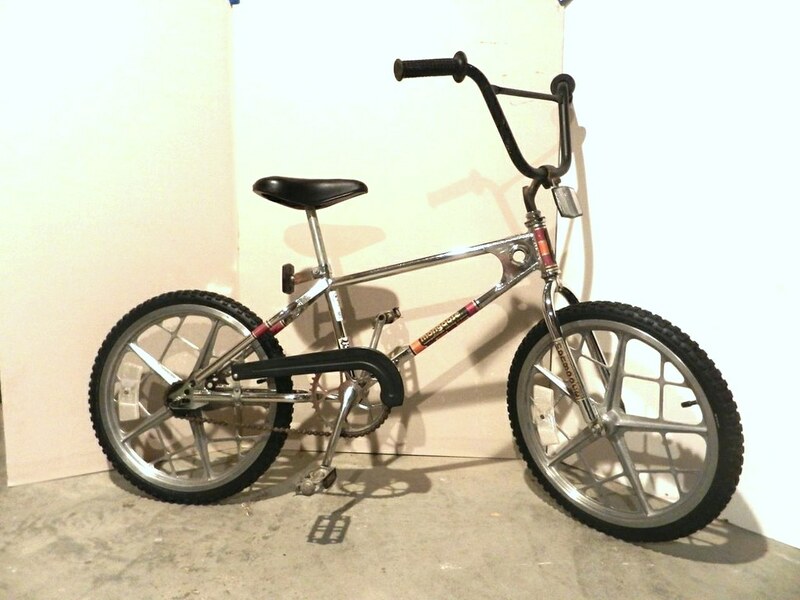 Up for grabs on Ebay is a “cream puff” 80’s era Mongoose with Motomags. 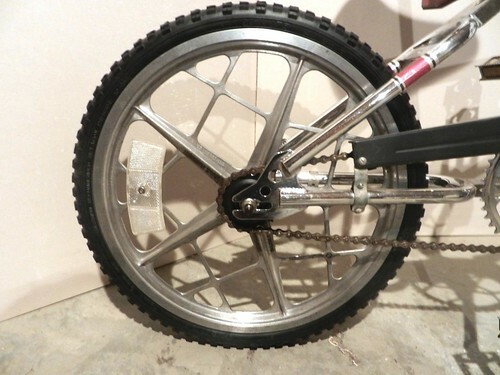 This bike retains all the fancy bits that any kid in their right mind would have removed from it and thrown away in period. The chain guard and reflectors are still there, as is the metal plate on the seat, which as a whole is pretty rare. For collectors, 80’s era Mongoose bikes with Motomags are the BMX equivalent of the Jaguar XKE. They were produced in bulk, so will never be as rare as a D-type or GTO, but some consider them much better looking bicycles than their rare counterparts such as Gary Littlejohn’s or Webcos. At any rate, this is a bicycle that would be well placed in any serious collection. If you aren’t a collector, your kid would still get way more style points on this bike than anything made now. The current bid is $460 with $70 added for shipping from Maine. Click here to buy it.